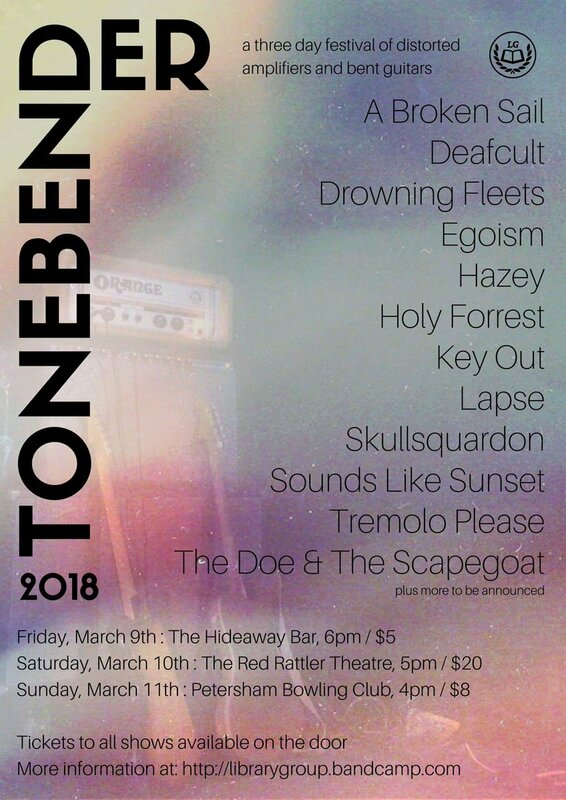 We were meant to be playing at the Tonebender show on March 10th at Red Rattler in Marrickville but we’ve had to pull out due to unforseen circumstances n’ all that. It’s a bummer ‘cos we were keen to finally get to play with Deafcult, after having pulled out of our show with them last year, and also at Red Rattler, and now we’ve done it again. Not a good look, guys. Anyway aplogies to everyone, apologies for Deafcult, and hopefully we’ll do it properly soon.